The Beetle is one of Volkswagen’s most popular models and is definitely an iconic vehicle. With a history of over 70 years, the news that Volkswagen would be shortly making its final edition came as something of a shock. Volkswagen will be making one final production run of the Beetle in 2019 before the Beetle transitions into a model that will longer come off the production line. In light of this fact, there might be a taker for a 1964 Beetle with an asking price of one million dollars. One million dollars is definitely a steep price but the vehicle is one that has hardly been driven and comes with all its original parts. The vehicle is listed for sale on hemmings, a website that bills itself as the world’s largest collector car marketplace. 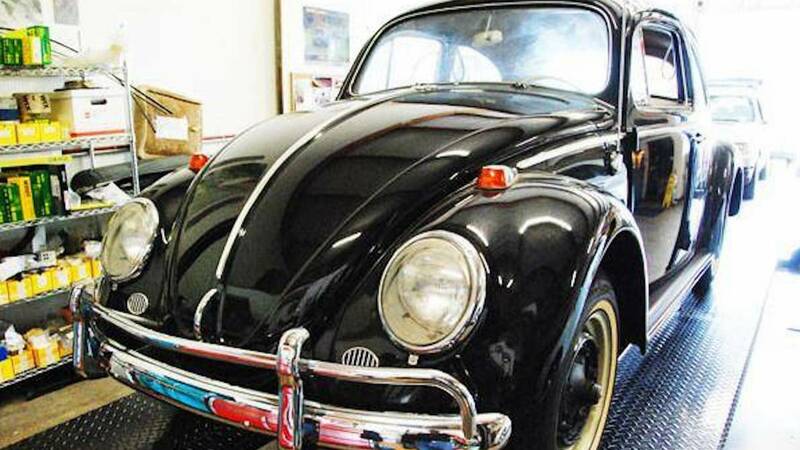 The classic, all-original 1964 Beetle is in mint condition and is black in color. It was bought as a brand new model in 1964 by Rudy Zvarich. He purchased the vehicle as a backup to his 1957 model of the same car. As it was a backup vehicle, it was never used and hence the vehicle has only 23 miles on odometer. This figure increased to 23 miles when the car was taken out of storage. The most distinctive characteristic of the Beetle is that all of its parts are original and in extremely good condition and they all date from 1964. The Beetle comes with its trademark white-side-wall wheels, the bright red seats, and the headliners and looks like it belongs in a museum.